As an entreprenuer, you like to start new things and you want it to be perfect. But, a lot of times it’s hard to trust anyone other than yourself. 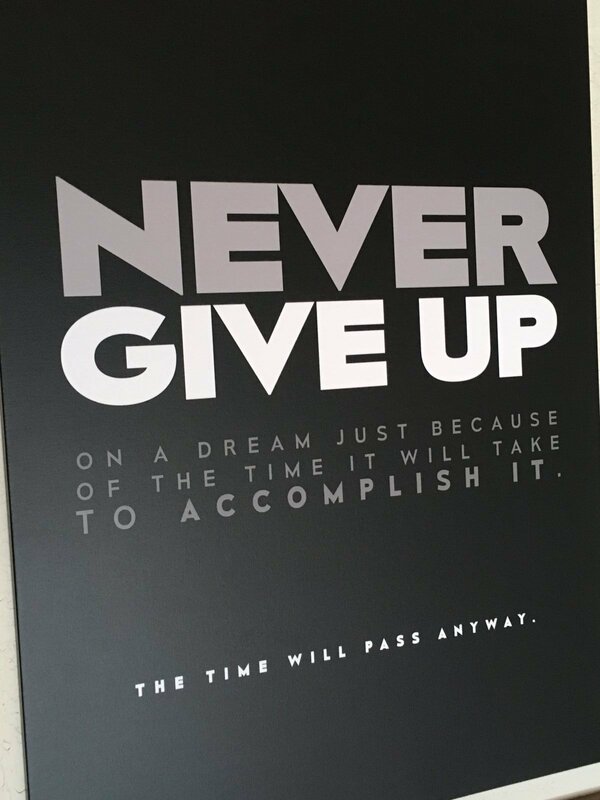 You’ve considered quitting on the dream you’re pursuing. If you haven’t, then it’s just a matter of time. How do you give up on this give-up mindset? 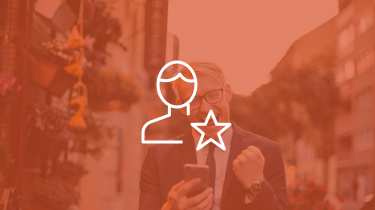 Carrot’s latest intern on the Content team puts Carrot CEO, Trevor Mauch, on the hot seat, diving into Trevor’s past — the moments and lessons that have led to where he is today. Mike asks questions regarding purpose, passion, the story of Carrot, and how Trevor was able to get through his biggest setbacks to come out even stronger. This conversation will give you several actionable “success habits” that could change the direction of your life and your business. 2:20 – Who is Mike Blankenship? – From Christian Ministry to trying to find a new passion. 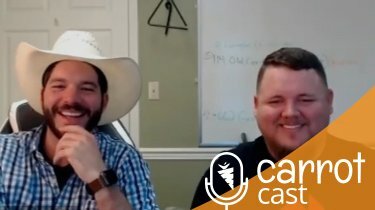 7:40 – Connecting with great people – How Trevor and Mike connected. 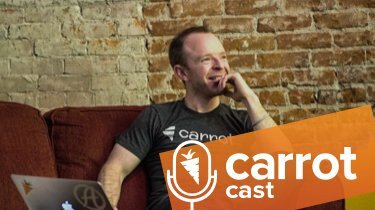 9:30 – Mike discusses the freedom to creatively work on targeted content as one of the main reasons he chose to take an internship at Carrot. 15:20 – Trevor’s struggle to allow more authority within Carrot teams and his understanding, that, to attract “A” players, you must allow them to march forward without resistance. 18:10 – Q&A – How long has Carrot been a company? 19:45 – Q&A – What are the biggest setbacks Trevor has experienced with Carrot and how did he overcome them? 24:25 – Why it is important to set a mental tone for your day. 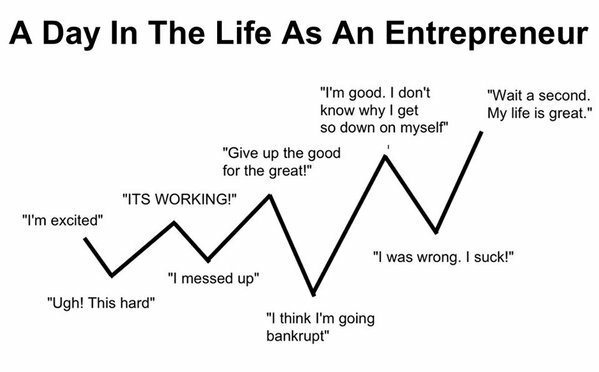 The life of an entrepreneur can be one heck of a roller coaster ride. 32:40 – How Trevor deals with life and the struggles of entrepreneurship: Build a foundation so you’re living life rather than cleaning up messes. 33:20 – Why having a mission is vital for success, how to find it, and how to decide on a business model that fits within your purpose. 35:00 – Stories about culture, longevity, and finding a purpose that forces you out of bed. 44:30 – Being Practical – Stop focusing so much on finding your purpose and just do the best you can. 50:00 – Decluttering your life and amplifying your leaders using the Pumpkin Plan method. 54:30 – Take care of the little things and stop putting pressure on yourself to find purpose. 55:10 – Keys to keeping a positive attitude. 59: 50 – Two pieces of advice for inspiring entrepreneurs: Incredibly easy methods that work.